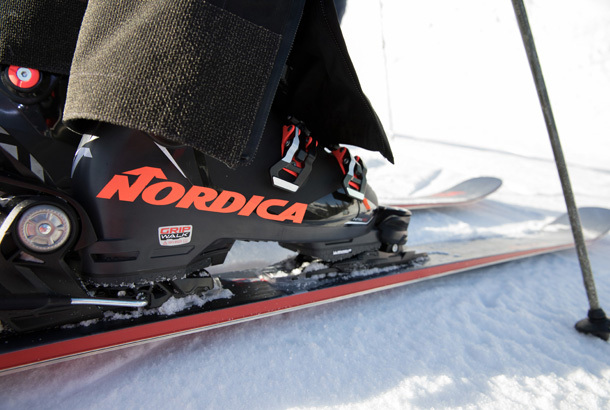 Legendary Italian ski and ski boot manufacturer Nordica blends comfort, performance and style in its Promachine 130 ski boot. Winner of the prestigious Red Dot Design Award, Promachine 130 combines the thrilling racing performance of the Dobermann boot with the lightness and comfort of the SpeedMachine boot. Proud member of the Machine family, this boot uses revolutionary Tri-Force technology to create a shell perfectly adapted to accomplished skiers, regardless of conditions on the mountain. The boot’s great comfort caught the attention of the Red Dot Awards’ panel of judges. According to Red Dot, in addition to meeting the aspirations of seasoned skiers, Promachine offers a completely customizable boot that fully captures the sport’s very essence and drive, which it transmits to the skier. The Machine family is born of a legacy of excellence at Nordica. The Italian brand, known for the quality of its ski boots since 1939, reintroduced the iconic Machine collection three years ago. The lightweight, comfortable Speedmachine boot, adapted for walking, set new standards for high-performance boots that are easy to slip on. Sportmachine met the expectations of wider-footed skiers, while Promachine delighted pure-performance enthusiasts.